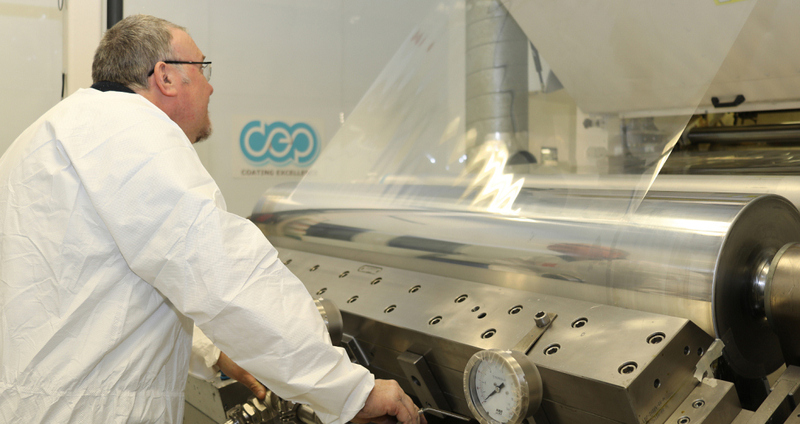 If you are a Converter of Medical products, manufacturer of films or adhesives for the Medical Market or a supplier of Medical products used in Wound Dressings, DEP has the coating expertise to work with you to confidentially manufacture precision coated medical products. With clean room precision coating using a wide range of coating techniques and expertise in a range of skin friendly adhesives, DEP is an ideal partner to develop and manufacture Medical products used in various applications including wound dressings and ostomy products. We are familiar with coating breathable films, foams and non woven materials. Confidentiality is a key part of how DEP operate and we work under strict levels of quality control. All products supplied are fully certified to meet agreed specifications and are fully traceable. We are established suppliers of adhesive coated foams for a range of Medical applications. 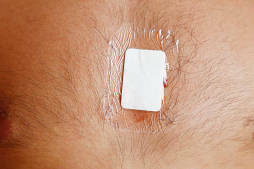 These products are used in the manufacture of ECG pads, grounding pads, ostomy and fixation devices. Our adhesive coated foam products are skin friendly, meeting the strictest testing and regulatory requirements including California proposition 65. We welcome the opportunity to quote for both our current standard range as well as customised product requirements for Medical applications.